I love when strawberry season hits my local grocery store! It’s like a breath of fresh air, and a sign that summer is just around the corner! 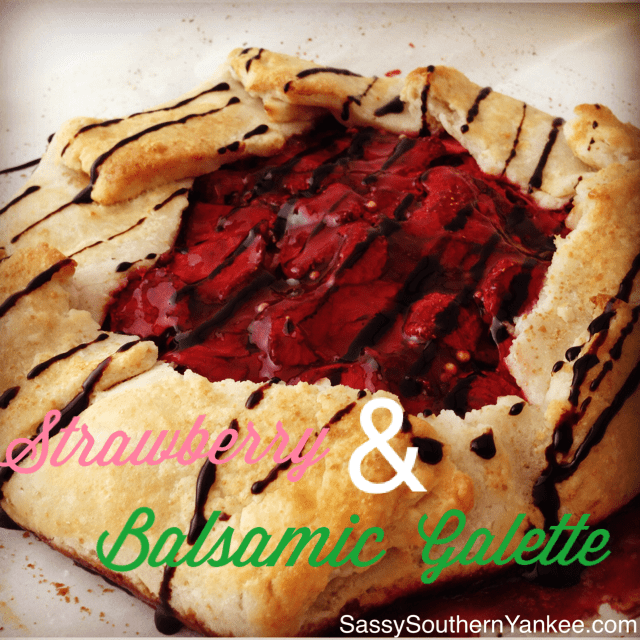 If you are a fan of chocolate dipped strawberries then you are going to love this galette. I know what you are thinking the title states Strawberry & Balsamic Galette, not strawberry & chocolate galette. Trust me once you have had strawberries with balsamic reduction you will not go back to chocolate…ok ok maybe you will but seriously give this a try you won’t be sorry. The sweetness of the strawberry is perfectly balanced with the zing of the balsamic reduction. Give it a try you might just like it plus its a healthier option to chocolate dipped strawberries. Don’t these just look divine? I used a pie crust recipe from Whole Foods Market its dairy free and gluten-free. If you are not a GF friend and want to have a quick and simple dessert you can use one of those wonderful pre-made pie crusts. Heck if I could find a decent GF pie crust I would cheat too! This Strawberry & Balsamic Galette is the perfect way to take advantage of those beautiful and impress your guests. Pre-Heat the oven to 400*. 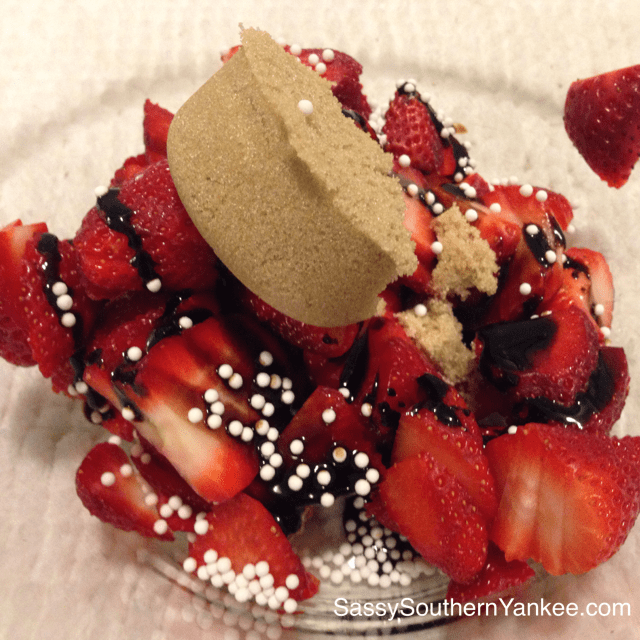 In a large bowl combine the sliced strawberries, brown sugar, balsamic reduction and tapioca. stir the mixture until even combine and all of the strawberries are coated evenly. On a parchment lined pizza pan lay out the pie crust. Place the strawberry mixture in the middle of the pie crust then fold the edges up around the strawberry mixture. Using a pastry brush, brush the beaten egg onto the crust. This will help the pastry brown in the oven. 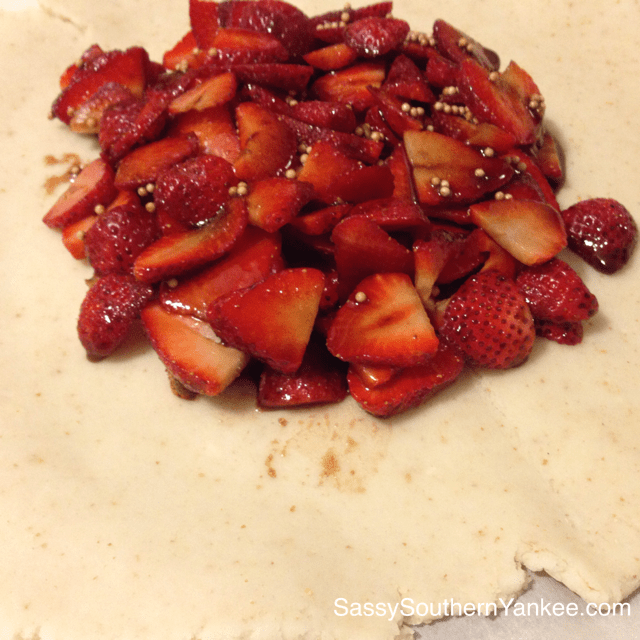 Place the strawberry & balsamic galette into the oven. 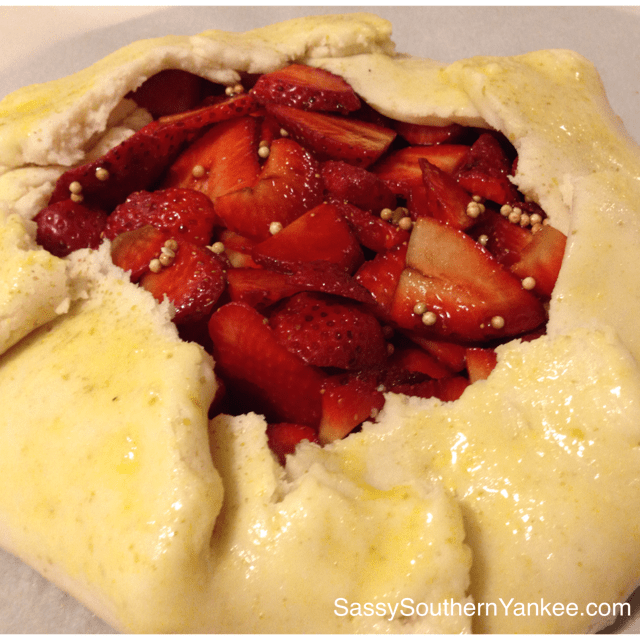 Bake for approximately 25 min until the crust is golden brown, and the strawberries are juicy and bubbly. Remove and allow to cool. You can eat the galette alone of with a bit of fresh whipped cream or an extra drizzle of balsamic reduction. I love when strawberry season hits my local grocery store! It's like a breath of fresh air, and a sign that summer is just around the corner! If you are a fan of chocolate dipped strawberries then you are going to love this galette. I know what you are thinking the title states strawberry & balsamic galette, not strawberry & chocolate galette. 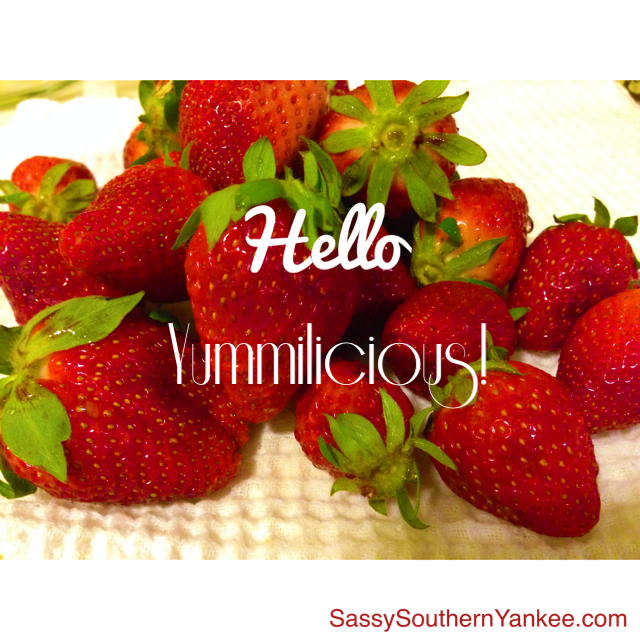 Trust me once you have had strawberries with balsamic reduction you will not go back to chocolate...ok ok maybe you will but seriously give this a try you won't be sorry. The sweetness of the strawberry is perfectly balanced with the zing of the balsamic reduction. Give it a try you might just like it plus its a healthier option to chocolate dipped strawberries. This entry was posted in Dessert and tagged balsamic reduction, Dairy Free, Dessert, Galette, Gluten Free, Gluten Free Dessert, Pastry, Pie Crust, Strawberry, Strawberry & Balsamic Galette, Summer Dessert.